Don't just fill Employment gap - Make the most out of it! How to fill an employment gap? In this competitive time when even having required skills and proficiency doesn’t ensure you a job, where does an employment gap on your resume put you on the race? It may have lasted for a month or two or even years. No matter if you’re applying right after a break or it has been years, it will always raise questions in your prospective employer’s minds. Though tackling them won’t be the same in each situation. 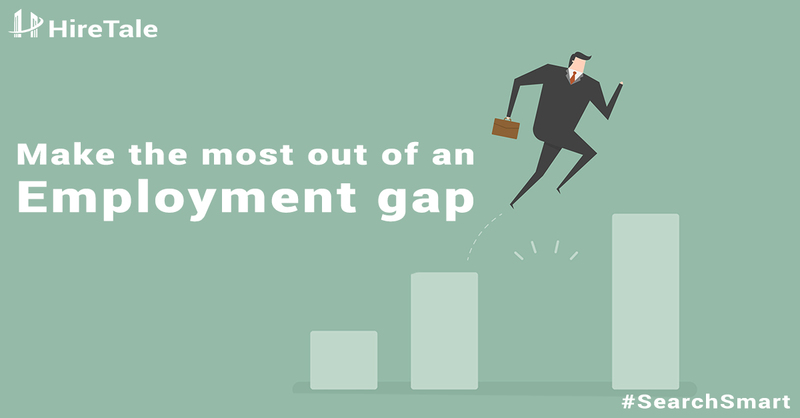 But fortunately, these employment gaps aren’t as uncustomary as you assume them to be, especially when you’re trying to get back into a job after having an employment gap yourself. However, depending on your reason they can prove to be a sore point in your job pursuits. But you can always turn thing your way if you do it right. Moreover, how justifiable these gaps are subjective to your reason and how you utilize them. Sometimes they’re pretty inevitable like raising a child, assisting an ailing family member or severe health issues. And sometimes they’re planned or at least made willingly to pursue some other activity which might have or might not have gone as per your plan. Such as to a short-term course, a failed attempt at a business venture or to crack an exam. Or just for the sake of taking a break or whatever you find worthy enough to leave your job. Before leaving your job, you should consider talking to your employer about your circumstances and if there’s any special allowance that might help your situation. For instance, you need to take care of an ailing family member; you can ask your employer if you can work part-time or remotely for some time. Though this may not be helpful for all types of professions but for those it will, asking will cause no harm. Even if not with your current employer, you can look out for freelance projects or jobs. There’re many such jobs out there who’ll pay you handsomely and will match your needs. If working is not an option for you, try devoting some time to studying or learning some relevant skills or new ones if you wish to change your sphere. 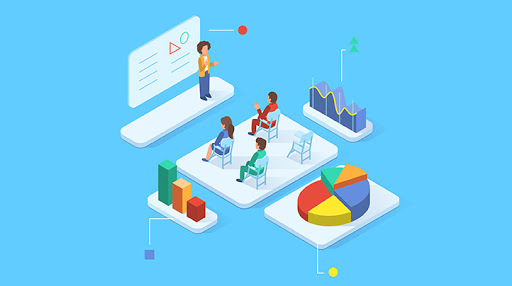 Though consistent learning should be a regular practice irrespective of your employment status, especially when you’re spending time away from your job and not using your skills, staying updated with the trends or acquiring new skills will keep you relevant in the game. Today most people take a gap expecting to land a job after months of sitting idle and learning nothing new, and even hoping to match standards with their old knowledge, especially when trends are evolving so rapidly. Thus consistent learning will help you stay in the market even when you’re not employed. You can also take up some online certification courses to support those skills on your resume. The psychological benefits of writing itself are enough to push you to write regularly during an employment gap, but wait there’s more. Writing can help you go through this time, and when you’re doing it online, it sure can be a fun ride. You’ll learn not only how to pen down your thoughts, but it’s a whole new world of opportunities. You can start a blog to educate people in your profession or maybe something you’d like to write. Even if you can’t start a blog of yourself there’re so many online platforms like Quora, Medium, LinkedIn, etc. where you can create an account and start writing. It will establish your online presence, will bring you new connections and opportunities as well. It doesn’t have to be an expensive networking dinner at a 5-star hotel! When you’re unemployed especially with no significant source of income, this is one thing that we start avoiding very first, as every outing, dinner or hangout gets majorly evaluated based on the amount it will cost. It doesn’t have to be that way, staying in touch with your friends, professional networks and groups or attending meetups and seminars can help you equally. So that when you feel like getting back into a job, you won’t have to start from scratch. The best practice to tackle any such questions is with honesty, any job you have to lie for is not worth it! You spend a significant part of your day at work, treat it as something more than just a source of earning a living. Though a few things should be kept in mind! State the cause, but don’t go into any unnecessary details. They should know what the reason was, but don’t go into that painstaking story of what you’ve been through during this time. Don’t speak poorly of your ex-employer, even if they were all the things you’ve been calling them. Instead, emphasis on other things that you did during that period add your achievements or learnings attained during that period. Let’s say you’re a programmer and you’ve been lay-off from the company due to poor performance. Instead of going over your employer or company how they’re the worst place to work on this planet, you should say “I was not performing as per their expectations, so in my place, they hired someone else. Meanwhile, I’ve been working over improving myself, now I’m a better team player and have also learned advanced programming skills during this time. I also did this project with a company”. Employment gaps are only as bad as you make them, use your time wisely while you still have it. If you’ll manage to stay productive and updated with the latest knowledge in your profession getting back into a job won’t be a tedious task. If you’ve been through a gap yourself, have your personal experiences or any advice, please share with us in the comment section below! Ready to hop into a job? Start your search with HireTale. Interviews, Jobs and Career Career Tip, Employment Gap. permalink.